This article originally appeared in Berfrois. Columbia University Press, 400 pp. In what Alain Badiou calls his “hyper-translation” of Plato’s Republic, we are taken into the world of Plato’s classic dialogue on politics and justice, sped up to the pace of a 21st century New York street corner. Socrates and his sophist interlocutors speak a gritty street talk that is both accessible and familiar, despite the fact they invoke intellectual figures from St. Paul to Jacques Lacan to the mathematician Paul Cohen. Amanda, a female character who didn’t exist in Plato’s original is introduced. In some ways, Amantha plays the hysteric to Socrates, always pushing him to his next insight. Susan Spitzer’s translation of Badiou’s French into English is clearly designed for an American audience, one that resonates particularly well for a post #occupy angst that is hungry for political change. Badiou has refreshed Plato in more ways than bringing his own philosophical language into it; his wager is larger than this. He manages to traverse the twentieth century’s aversion to Plato as a totalitarian philosopher, and leaves us with new ways of understanding Plato’s conception of truth, the ideal form of government, and how we must participate in politics today. Not surprisingly, there have already been critics of Badiou’s translation. Two interrelated problems have been raised. The first is that his translation breaks the formal rules of translation to such a degree that the original meaning of the text has lost its significance. But this critique is inadequate at face value because Badiou’s hyper-translation is forthright in its intention of taking Plato’s concepts and modifying them into his own lexicon. For example, the soul becomes the Subject, God becomes the big Other, and the true life becomes Truth – all terms that comport to Badiou’s own canon. Badiou’s hyper-translation is a type of translation that used to be common amongst philosophical texts, whereby the purpose of the translation was not to preserve the static meaning of the original, but to enable the text to speak to us in the present. The more pertinent question that Badiou’s translation leaves us with is then, how do we relate Badiou to Plato? François Laruelle, another living French philosopher and rival of Badiou, makes the claim in his book, Anti-Badiou: The Introduction of Maoism into Philosophy that Badiou’s desire is to see himself in the same way that Lacan saw himself in relation to Freud: reading the truth of Plato immanently with the tools (mathematical set theory, for example) that Badiou has at his disposal. It is true that Badiou sees himself as the heir to Plato in philosophy today. But it is also true that Badiou stands alone in remaining in fidelity to Plato. In Badiou’s 2008 seminar on Plato in Paris, much of the rationale for his translation of the Republic is made evident. In this review, I will refer to this seminar to clarify much of Badiou’s choices in his translation, which if one were to read the text in isolation, could very well go unnoticed. 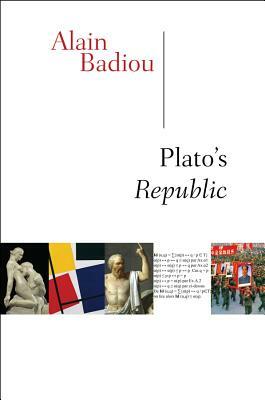 The second and related critique against Badiou’s Republic is that it takes Plato’s notorious “fifth form of government,” and names it communism, despite the fact that Plato never gave it a name. We should read this choice of using the name communism as a decision that is not merely reducible to ideological partisanship, but one that is deeply tied to our own political situation today. It is a decision that is tied to Badiou’s entire philosophy and his politics. While Badiou certainly receives critiques for his own philosophy for relying on mathematics to ground its entire system, as well as his complicated support for Maoism, we should remember that it is Plato who is vilified in contemporary philosophy, particularly during the twentieth century. The first form of anti-Platonism that Badiou recognizes is what he calls the vitalist philosophy of Nietzsche, Bergson and Deleuze. In this reading, Plato is pitted against a philosophy of life and becoming, and much of the impetus for the vitalist project was actually to wage something against Plato. Nietzsche said that we must, “cure the disease-Plato,” and get rid of the influence of Plato, the first “priest” who organized against life itself. The second form of anti-Platonism is more near and dear to American philosophy, and that is the analytic philosophy of Russell, Wittgenstein and Carnap. Here the complaint is that Plato is responsible for the idea that there are, separately, ideal objects whose intellectual intuition is possible, and that Plato uses mathematics to formulate the Idea, when they prefer to organize truths around linguistic concepts. The third form of anti-Platonism is the Marxist position that sees in Plato the first separation of sensible and intelligible worlds, which ultimately corresponded in the separation between the working class and slaves. Fourthly, Kierkegaard, Sartre and the existentialist critique of Plato is grounded in Sartre’s phrase that “existence precedes essence.” This means that for Sartre, originally, there is nothing but a pure freedom of the subject thrown into existence on a background of non-being. The major criticism of Plato for the existentialists is that he is unable to discern the dimension of negative being and that he substituted sovereignty to this original non-being. Heidegger presents the fifth form of anti-Platonism, wherein Plato is the primary culprit of concealing being, and thus leading to a forgetting of being. The last form of anti-Platonism, Badiou notes, is the democratic form that is attributed from thinkers as diverse as Habermas, Hannah Arendt and Karl Popper. This tradition sees in Plato the origin of totalitarianism, which is in part why these philosophers support a democratic society that can support the free play of opinions and interest, but they recoil at the idea of a society built around Truths, in part because they see the reign of truths as inevitably leading to tyranny. Plato’s Fifth Form of Government: Communism? The key move that leads Badiou to make the claim that Plato’s fifth form of government is communism is that he takes Plato’s Athenian government, at the time of writing of the text, to be in alignment with our own form of democracy today. Plato’s democracy is what Badiou calls a “democracy of opinions” unable to produce truths. The sophists of our day are the public opinion experts; the pseudo-intellectual think tank “experts” who consult us on every facet of living. But as we saw above, the sophists are also the analytic philosophers. Democracy then is not the end-point form of government as we find in Francis Fukuyama’s End of History and the Last Man, but it is what must be overcome in the creation of the Republic. Plato’s four types of government are interrelated and presented along a spectrum with democracy serving as the end point. The first form of government is timocracy (military society organized around imperialism); the second is an oligarchy (elite government by capitalists); the third is tyranny/fascism (the government of One); and finally democracy (the Government of the People’s Assembly). Democracy is flawed because it is still ruled by private interests and democracy’s offspring is oligarchy and tyranny, whereas communism’s offspring is military rule because its establishment of the Idea of equality is one that is typically wrought with violent state-based forms of ideology as we had under twentieth century Leninism. But Badiou’s communism is not state-based, nor is it rooted in any economic collectivization program. It is rather an Idea that is abstract which is centered on the creation of a Subject that can persist in relation to the Idea that it represents. Badiou names the only form of government able to produce justice, which is after all the primary subject of the Republic, the name “communism”. The only way in which communism can take place is not through the exercise of judgment and opinion, as we have in democracy, but through the cultivation of Thought. Throughout the text, we find long discussions for how democracy falls into oligarchy and into hedonism precisely because as a form of government it does not control the Desires and Affects (two forms of agency of the Subject) adequately. Badiou notes that Plato was very well aware of the risk of corruption in producing a society of citizens committed to Thought, and this is why Plato claims that we must abolish corruption entirely, and to do so, we must abolish private property. To get a clearer idea of the type of communism Badiou is talking about, we should turn to another recent book, The Communist Hypothesis, wherein we find that communism is posited as “a pure Idea of equality, the communist hypothesis has no doubt existed since the beginnings of the state. As soon as mass action opposes state coercion in the name of egalitarian justice, rudiments or fragments of the hypothesis start to appear” (Badiou, 2010 p. 35). Despite the universal relevance of the name communism, Badiou chooses to remain in fidelity to this name because of the failures of state-based Communism in the 20th century, particularly under Lenin. This form of communism is not a politics concentrated on economics and the rule of law, but as a form of government that is located at a distance from what is legal and social. Communism is like the Proletariat, something that does not exist but once it reaches existence, it fulfills its own destruction in a way. How is such a communist society constructed? Since communism requires the philosopher to be in the position of power, precisely because the philosopher is not allured by power. All Subjects (citizens) must have the ability to take part in the party/society. Therefore every citizen must be a philosopher because philosophy is what enables the synthesis between political ability and philosophy (166). Plato’s Republic is built around the triplet worker-activist-soldier and each one must be interchangeable with another. These are the guards of the Communist Idea, and Badiou replaces the guardians with Marx’s idea of the Proletariat. But to materialize such an Idea, the state must operate without laws. Capital is gone from such a society because it prevents Subjects from participating in the light of truth, all of which comes with a new order of the three agencies of the Subject: Affect, Desire and Thought. Ultimately, the dialogue that Socrates teases out by the end of the text is one in which Thought becomes the modus operandi for the order of society. 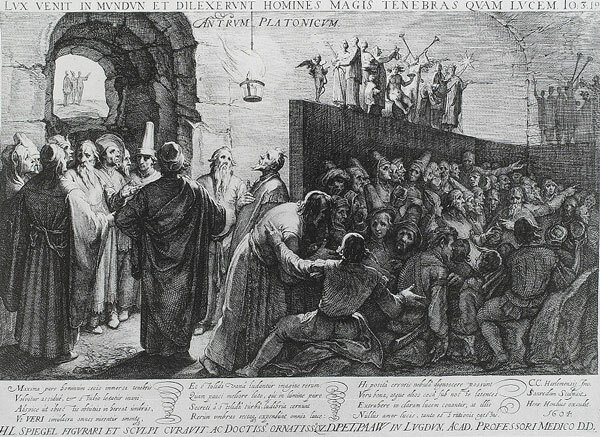 Plato’s dialogue coincides with Badiou’s philosophy at the allegory of the cave because the prisoner who escapes the cosmic movie theater and enters into the Truth is faced with the problem of how they are to maintain their fidelity to the Idea(s) they discovered above ground. In many ways, this is the question that Badiou’s own philosophy ponders: how does a Subject that is exposed to an Event persist in allegiance to the truth of that event? Justice is both objective, a part of society that must be constructed by the citizens committed to the Idea of communism, but it is also subjective, in that it comes down to controlling one’s desire. Desire is the most elusive of the three agencies because it is the real power that unites Thought and Affect (141). 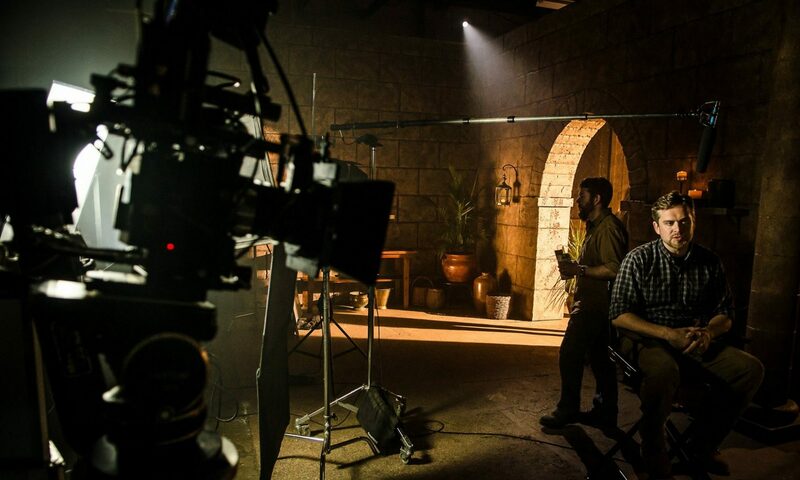 When these three are connected, like notes in harmony, the Subject becomes the One that it is capable of producing Justice (144 – 145). It must be noted that Badiou’s Socrates is a forceful figure in the dialogues, a figure that takes on a position of mastery. The famous sophist Thrasymachus is presented as a diabolical figure because his power is one of rhetoric, and rhetoric is opposed to philosophy because it is able to hold fast to an opinion, but can just as easily hold tight to the other side of the opinion. The dialogue of Socrates is thus one of negation, of destruction of the sophist’s position, in a way that Badiou admits in a footnote at the beginning of the text, is reminiscent of Hegel’s Master-Slave dialectic whereby philosophy is what lives, and not opinions. As Badiou remarks, “true resolve will always abolish complaint,” and it is opinion wherein resides the space between being and non-being. What Are Badiou’s Amendments to Plato? There are many philosophical terms that Plato does not describe. For example, he describes the good by saying merely that “it is different and more beautiful than science and truth” and “it is the brightest of being.” This inherent ambiguity of Plato’s own core philosophical terms is what enables Badiou to perform such an immanent reading of Plato, and it is why he thinks that Plato aligns with our problems today. Perhaps the central claim that Badiou makes is that of Plato’s idea of truth. As he clarifies in his seminar on Plato, Badiou notes that Plato sees truth as a productive process, quoting him as saying, “the truth is not in a position to say so herself.” The truth is a principle, an arche, or a point of origin for Plato, and this place is what Badiou calls the “transcendental situation” where the consequences of the truth are built. Where Badiou seriously modifies Plato’s idea of truth is around the difference between his reading of the truth as the Sun vs. the truth as Event. Badiou’s idea of truth is thus already apparent in the world and the Subjects must be in constant work and discipline around the Idea to bring the truth into existence. What Badiou’s translation of Plato leaves us with is a resounding passion for the truth. It leaves us with a rare sense that politics can once again be associated with courage and justice, and that we have an agency at our disposal that comes in the passionate work of bringing the idea of equality (communism) into existence. As Badiou remarks, “philosophy is not worth an hour’s effort if it is not based on the idea that the true life is present” (14).